I'm not sure how this happened, but we only have TWO normal weeks of class left until the end of the semester. Next week will be a short week because of the Thanksgiving holiday, and our finals begin the second week of December. Eep! I honestly don't have a single day without some sort of paper or project to be working on from now until December 13th, and it's making me slightly crazy already. 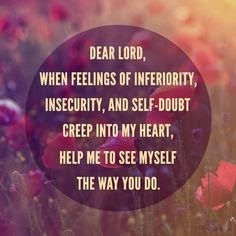 I'm sure I'm not the only one feeling this way and wanted to share some quotes (from my Pinterest) that have helped me when my stress is at an all time high. 1 // Start each day on a positive note! 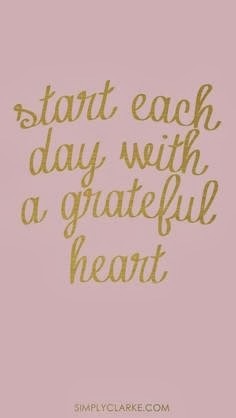 There are so many wonderful things in life to be thankful for- don't let a hectic schedule get in the way of that! 2 // Don't give up when things seem overwhelming! 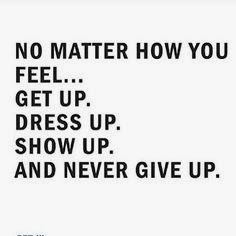 Wake up each day and make the choice to do everything in your power to accomplish your goals! 3 // Remember that your worth is not determined solely through your academic performance! You are so much more than just a student! 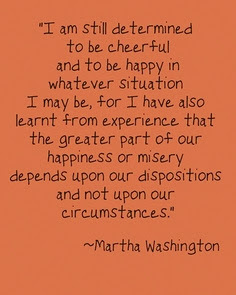 4 // Make a conscious choice to be happy no matter what your situation may be! 5 // Tackle each assignment/paper/project one by one. Set manageable goals. Don't get discouraged! I hope this helped motivate y'all and gave you the boost you need to make it through the day, week, or rest of the semester! 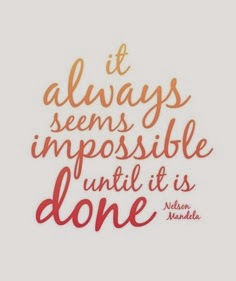 Remember, no matter how impossible things may seem sometimes- we can do it! !